Since moving back to Atlanta, there's no way I would miss Orchid Daze at the Atlanta Botanical Garden...there's just no way! And as usual, this year's Orchid Daze is spectacular. "...celebrates the work of three artists who found creative energy in the beauty of landscapes: Vincent Van Gogh, Claude Monet and Paul Gauguin. The exhibition showcases the artists eye-opening ways of seeing and perceiving the world." One of the highlights of Orchid Daze is the Atlanta Orchid Society's annual Orchid Society Show, hosted at the Atlanta Botanical Garden. And it's this weekend! There's the Show, there are classes, and there's so much incredibly enticing beauty...prepare yourself! Each of the three featured artists are quoted in the exhibition, with a quote that's specific to the experience of Orchid Daze. 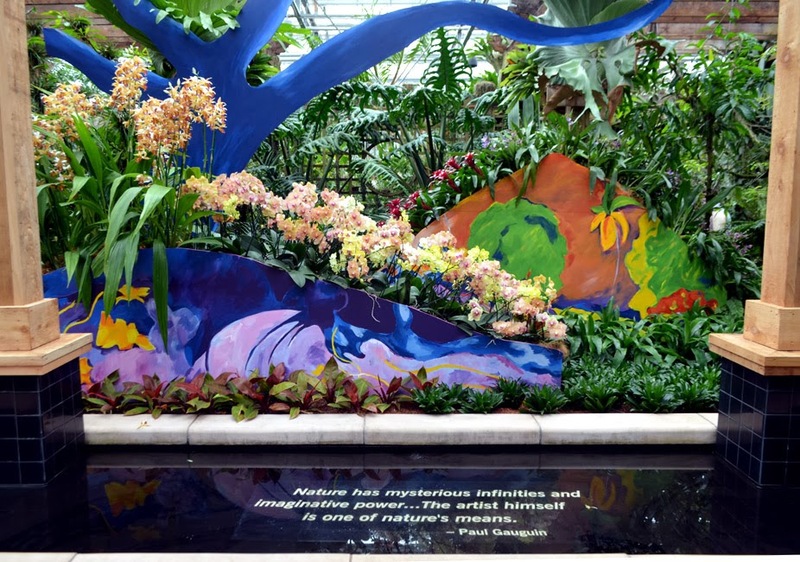 To give us the greatest orchid experience possible, the Garden starts the Orchid Daze exhibition in the lobby of the Fuqua Conservatory...what a treat! 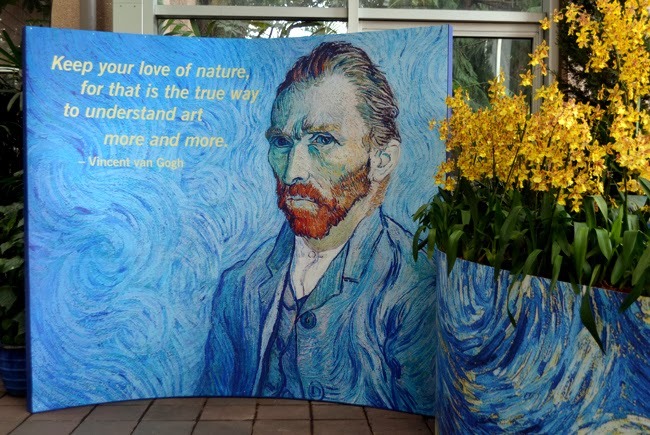 One of my favorite artists, Van Gogh is featured in the Conservatory lobby. 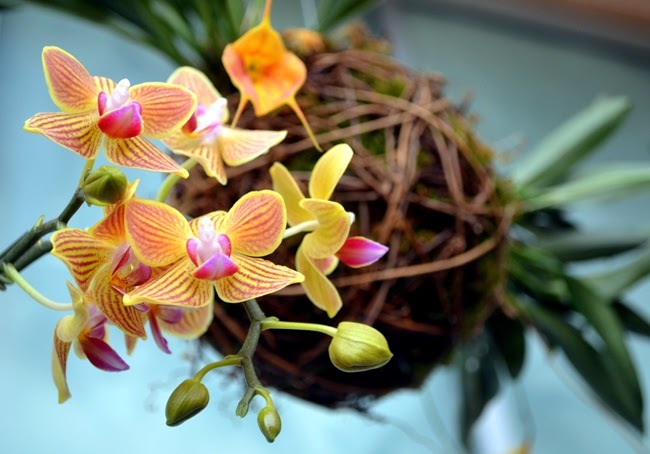 By starting Orchid Daze in the Conservatory lobby, visitors get to explore the Dorothy Chapman Fuqua Conservatory on their way to the Orchid Center. 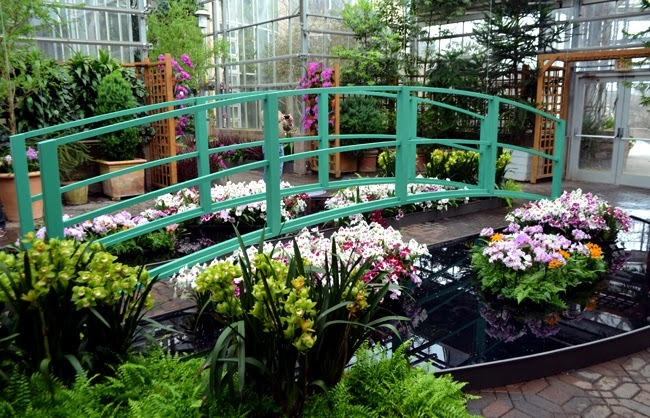 If you've given yourself plenty of time, do explore all five display areas in the Conservatory. There's the lobby, the Tropical Rotunda, the Desert House, a special exhibits space and an Orangerie! Aside from Orchid Daze, the Atlanta Botanical Garden boasts one of the largest collections of orchids in the United States. 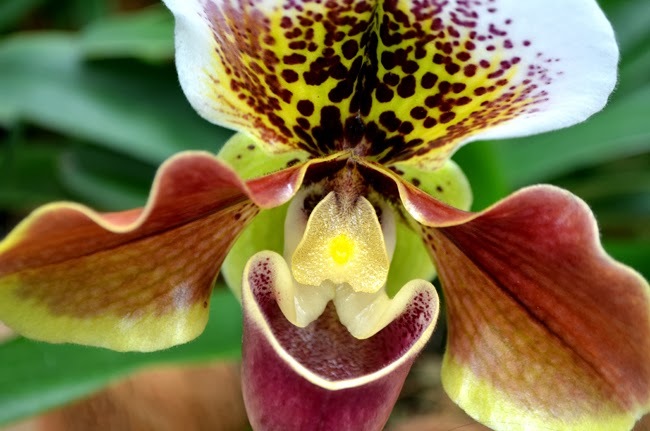 Of the 25,000 species of orchids on planet Earth, they have approximately 2,000 species in their collection. Now that's impressive! In addition to the permanent collection, the Garden brings in thousands of additional blooms for Orchid Daze...making for a truly wonderful exploration of one of the world's most fascinating and beautiful flowers! In the Fuqua Orchid Center lobby you'll see Claude Monet featured (first photo in this post). Over in the Orchid Center Display Room you'll see Paul Gaugin featured, and keep an eye out for some of his trademark Tahitian female figures among the foliage. While you're in the Display Room, keep an eye out for the world's second most expensive spice...you might be surprised! And also seek out one of my personal favorites, the Darwin Orchid, at the back of the Display Room—and it's in bloom now! 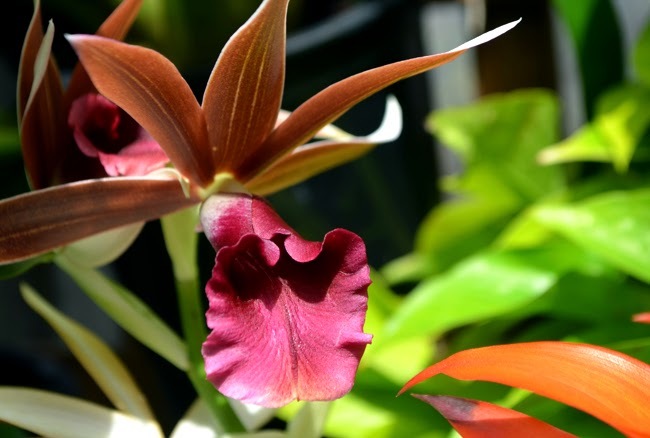 The Display Room is also where you're most likely to find one of the Garden's very helpful and knowledgeable Orchid Specialists. I've never asked a question that they couldn't answer! Yes, Becky's name alone gets its own paragraph. Becky is the Fuqua Orchid Center Manager and has managed the Garden's orchid collection since 1995, seven years before the Fuqua Orchid Center opened in 2002. 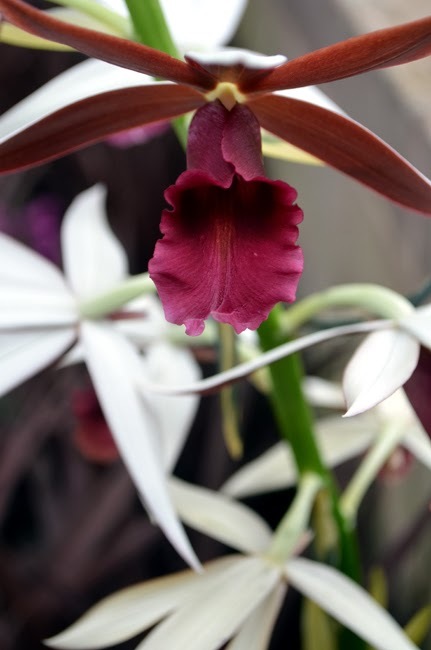 One of the reasons that I have such great respect and admiration for Becky is her authorship of The Orchid Column, her blog about orchids and the Fuqua Orchid Center. She's a brilliant writer, and spectacular photographer, an engaging teacher...I would LOVE to see The Orchid Column win a "Blog of the Year" award. Becky totally deserves it! The next, and final, Orchid Market Weekend is April 4-5. 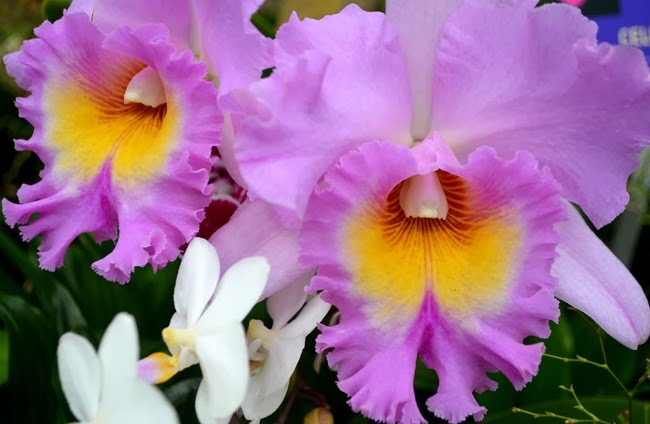 There's also Orchid Care Clinics, an art show in the Orchid Center, and although Vanilla Sunday has already passed, there are some vanilla recipes on the Garden's website that you can enjoy anytime. Keep your eyes open for some rather odd looking kinds of orchids, too. 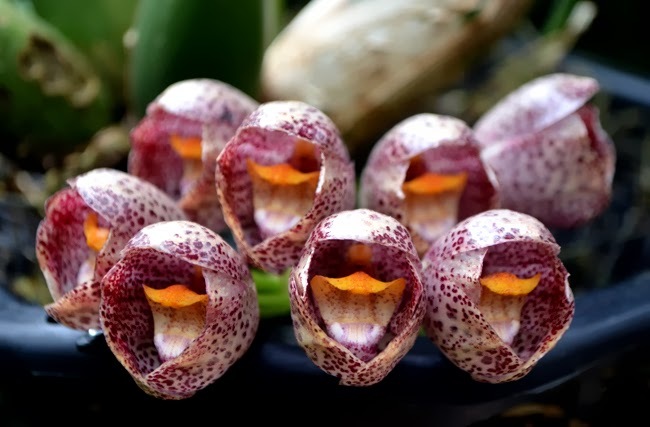 Truthfully, some of those are my favorites, the Dracula Orchid, in particular. If you find yourself in the Orchid Center and you spy an orchid or plant that doesn't have an identification plate and there's not an Orchid Specialist on duty, there's always the Plant Hotline. I recommend making a photo of the plant/flower in question and emailing it to the Plant Hotline. But you can always call and give them a location and description of the plant/flower in question. 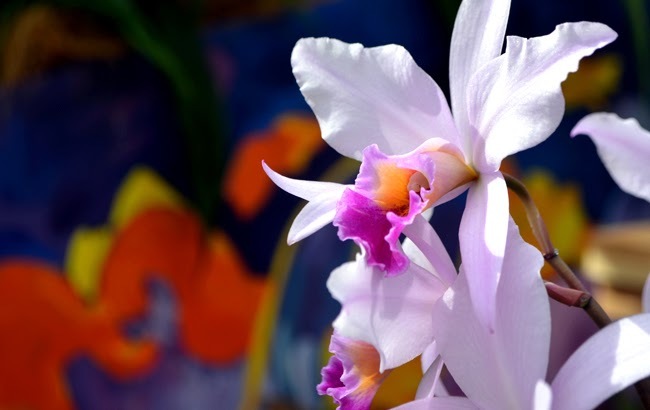 Orchid Daze: Lasting Impressions is on display at the Atlanta Botanical Garden through Sunday, April 13. And while you're there, you'll get to enjoy Atlanta Blooms! When I was there last weekend, there were already hundreds of daffodils up and a few tulips, too! Just make sure you see the orchids!